My wanton swath of destructiveness (and rebuilding) through my house continues. If this chapter of my life had a subheading, or at least one bit of metadata attached to it, it would be: INDUSTRIOUSNESS. So, something bad happened in the furnace room. Actually, several somethings since we moved in. I’ve been using it as “temporary” storage for things that should be stored permanently and well (camping stuff, canning stuff), things we should not keep at all (random router I don’t remember buying??? ), and half-finished projects. Just until the bedroom remodel is done and we get our space back in the garage, I said. 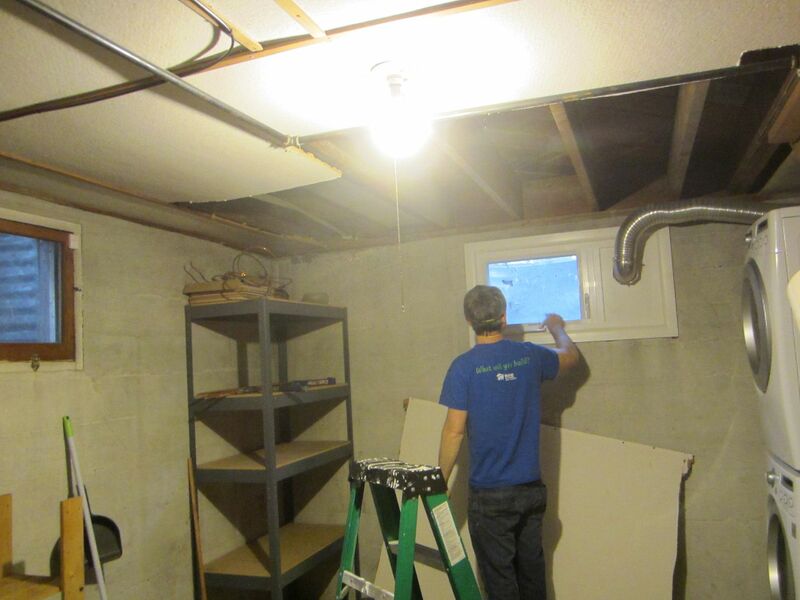 As our various home projects march into year FOUR, I realized that I had to stop treating the furnace room as Stuff Limbo and turn it into a real space. And make some goddam decisions already, which is something I have always struggled with. OR HAVE I? This realization coincided with Franny asking for a way to make some serious money, not a $5 little chore. 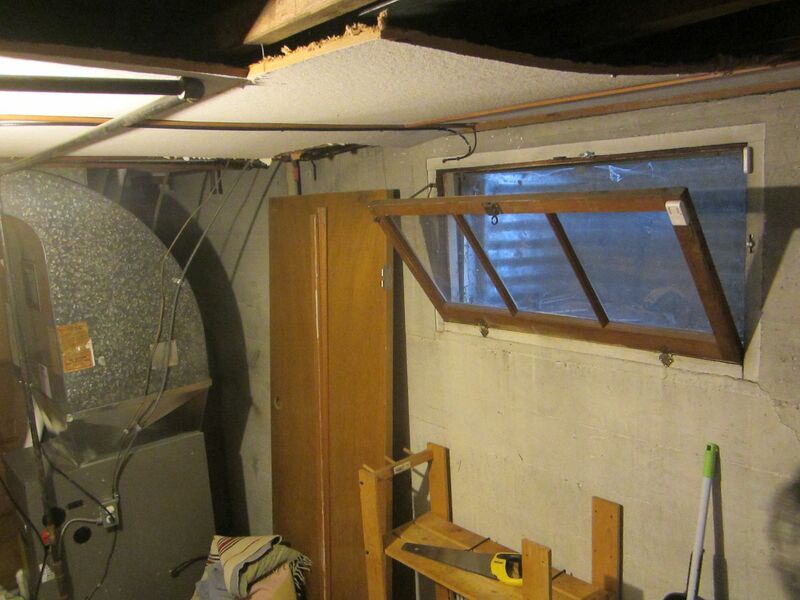 “You could…clean out the furnace room?” I said, hesitantly. I said something vague about trying to divide all the things into rough categories so we could store stuff or Goodwill it. I mean, it was a weird hodge podgey disaster that I knew I was going to have to tackle, and I was super dreading it, and it seemed mean to inflict it on someone else. But it had escaped my lips and was in the air now. The furnace room. The rest of my house has been kept pretty clean, or has BECOME organized and tidy A.P.M. (after proper medication), and I have made regular pilgrimages to Goodwill. But this was our house’s secret angry bald patch under the rest of the long flowing tresses. On Sunday I fucked off to a friend’s house with a small shepherd’s pie for a couple of hours, with final terms left undiscussed and unnegotiated. When I returned home, she was in there, grinding away at it. I went downstairs to paint the basement bedroom ceiling (not pictured), and she piled everything up in our bathroom, around the tub and in the walkway. Since Sunday night Pete and I have had reminders of our packratting and dereliction of proper organization as we ablutinate. We discussed what to do with it. He thinks I am a little cracked (as he does daily) because I want to paint the sad concrete walls. I also want to lay a trail of carpet tile from the door to the washing machine and replace the classic murder room combo “stark bulb with ancient pull chain” with some kind of shaded fixture. Nothing fancy. I don’t want to hang out and tat to Miles Davis in there, but I would like it to be less creepy. 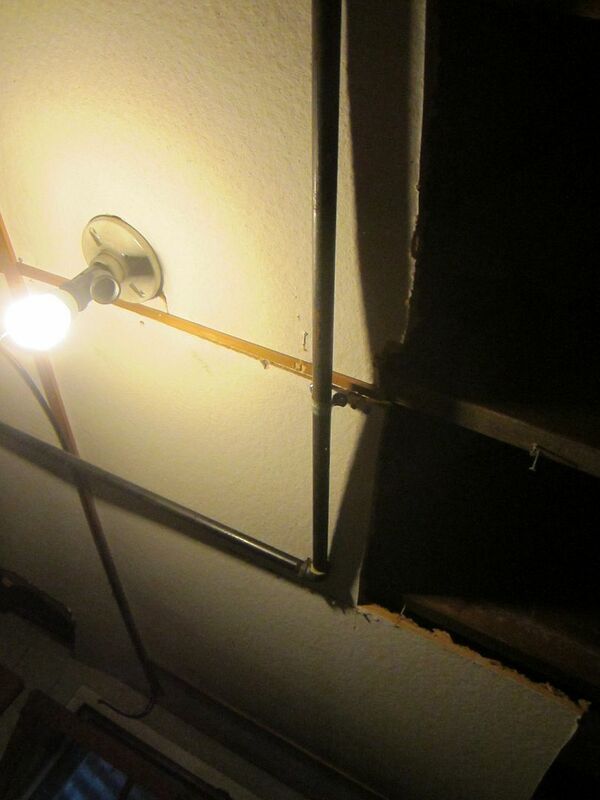 We did immediately agree on one thing, and that was to tear down the ceiling. It was the original 1950s wallboard with trim tacking it up to the joists. When this house was switched from oil heat to gas lines, the iron piping was run over the top of the wallboard. Then the house was replumbed, and hey, let’s run the copper over the ceiling as well. This house is a sturdy monster and I love it, but “improvements” that came later were needed but executed strangely sometimes. People cut into the wallboard over the years to add cable, pipes, more electricity here and there, etc. This about sums it up. Iron piping, holes, The Bulb. Here is an original mahogany hollow-core door that originally hung in the kitchen that was in the basement when we moved in and I cannot bear to throw out yet. Every time I make a change to the 50sness of this house I feel I’m cutting off a hostage’s toe. CAN THIS ROOM BE SAVED? I don’t know! But it’s going to get some shelving, some bins, and an ATTEMPT. Franny was filthy and tired when she was done (seven hours) and I told her I would pay her $10/hour for her labors. Which she is promptly spending on more hair dye. The bedroom is still crawling along. I don’t know if I mentioned, but we have a spreadsheet now. With DO THIS dates, that we mostly adhere to. We have windows in the basement that were meant to be installed last weekend (we nixed it when it snowed all morning), and a closet door to pick up that matches the other ones. 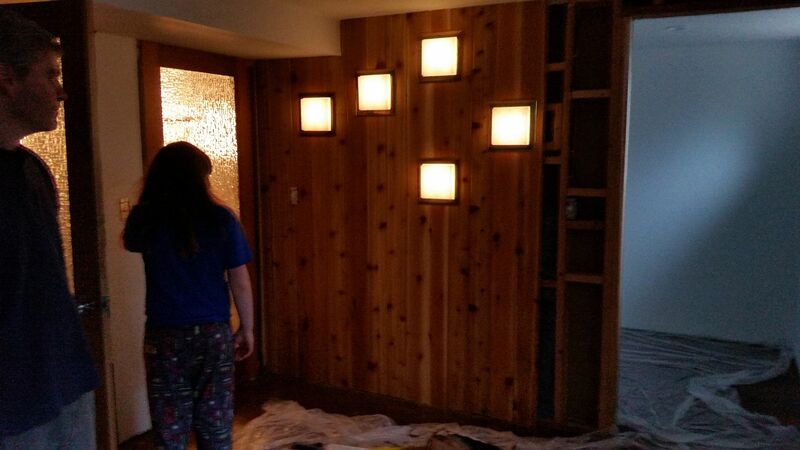 The paneling is farther now, but we’re pausing to install the door and then see what needs to happen with trim. So this is a very specific snapshot of what is happening with my house right now, and my life pretty much TODAY, which was my intention when I started this trash heap anyway. I am hoping to blog more…I have it set as a task now (lame) because I miss it. When your memory is so porous it’s good to have a record. When I am senile from sucking on paint chips I can look at this all and say, “what idiot could have done all of these stupid things?” and then go back to pooping myself. This entry was posted in Apartment Heresy, P and tagged cats van bags go by iasshole. Bookmark the permalink. We regret the structure of this sentence, but must go off to shower and make dinner. To me, this is a lot of progress! We have a hallway we call the murder hallway just because it was terrifying to walk down the first few weeks in the house. We also have a groovy room and a pink room. And some of the windows aren’t even glass? They are plexiglass? I’ve been in a house project slump and winter + bad weather didn’t really help. This post is therapeutic to me. I need to pretend I’m paying myself $10/hr and just get to work. I like the tile carpet idea. It nice to have a soft walkway to your awesome bathroom, especially whilst the rest of the renovations comence. It may be messy for now but progress is always a bit messy in the making. Thanks for the update.